Whether you are a beginner or expert, health and safety are always important. There has garden health and safety tips for kids as well. If you’re careful, you can enjoy the benefits of your garden in good health. Ignoring safety precautions and using the wrong tool for the job are common causes of injuries. Safety tips to help you be safe and successful in your garden. Practice the following safety tips to prevent injury. Common lawnmower injuries include open wounds and bone fractures involving the hands and feet. 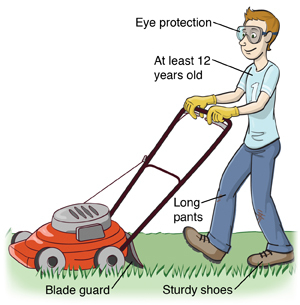 Eye injuries can also be caused by the mower blades flicking up debris such as sticks and stones. Wear enclosed shoes when mowing the lawn, preferably safety boots with steel toecaps. Wear long trousers, preferably made from a heavy fabric such as denim, to protect your legs against flying debris. Ride-on mowers can tip. Drive at slow speeds, especially when turning. Take extra care when pulling the mower towards you or mowing on slopes, to avoid foot injuries. Lawnmowers can also cause burns. Be careful not to touch hot equipment parts.oves that have reinforced knuckles and padding in the palm. They’re a little more expensive but do a much better job of protecting your hands from fatigue and injury. Many gardening injuries involve the hands and fingers. Always wear gardening gloves to protect your hands against cuts, soil, insect bites and skin irritants. Leather gloves offer protection against puncture injuries from thorns and bites (insect, snake, spider or rodent). Use appropriate tools for digging instead of your fingers (for example, a shovel or hand shovel). Buried objects such as tree roots, glass and metal can injure your hand, wrist or arm while digging. Consult with your doctor about keeping your tetanus vaccination up to date. Cuts and puncture injuries carry a risk of tetanus. Choose your hand tools to suit you. Avoid buying or using hand tools that feature ‘moulded’ handles that don’t fit your hand. Blisters, calluses and muscle pain can occur if the finger grips on the handle are too small or too large for your hand. Keep your hand and wrist in a straight line when you use hand tools. Bending the wrist weakens your grip on the tool, which causes you to exert hand and arm muscles with greater force. This can cause fatigue and soft tissue injury. Use rubber gloves when working with garden chemicals. Always inspect the rubber gloves for holes or tears before use. 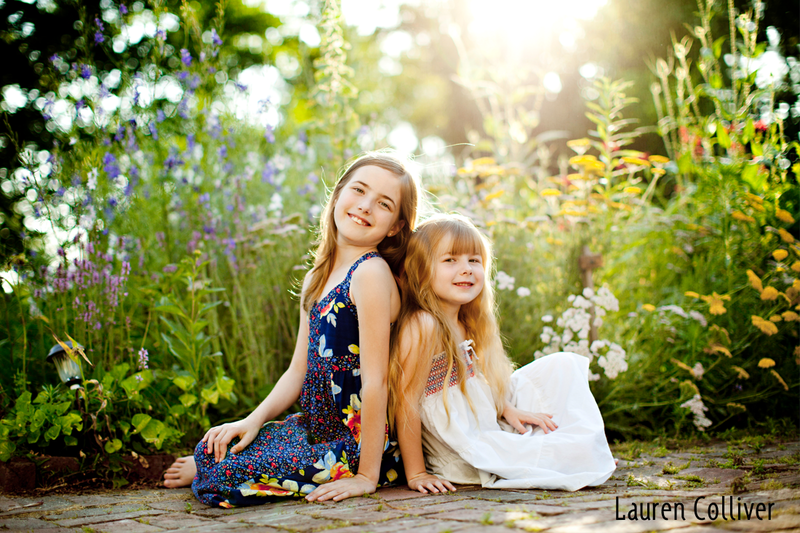 Many gardening injuries involve children, particularly in the under-five age group. Keep children well clear while you are operating equipment such as lawnmowers or lawn trimmers, and teach them about the potential hazards of such equipment. 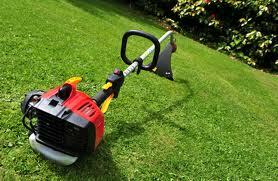 Make sure children do not touch the lawnmower after you have used it, as it will be hot and can cause burns. Don’t permit young children to operate garden machinery such as lawnmowers. Don’t allow children to operate or sit on the back of a ride-on mower. Do not leave power tools plugged in and unattended. 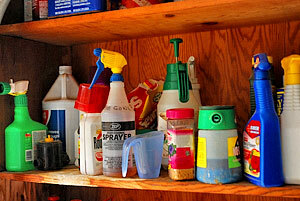 Store garden chemicals such as weed killer on high shelves behind locked doors. Store gardening tools and equipment safely and securely. Provide shade, sunhats and sunscreen, and appropriate protective clothing, such as gloves and gumboots. Make sure children drink plenty of water, especially during warm weather. Do not leave buckets of water unattended around very young children. Make sure ponds or other bodies of water have a mesh screen installed just below the surface of the water to protect young children from falling in. An assortment of power tools is available that helps us manicure and shape our landscapes. 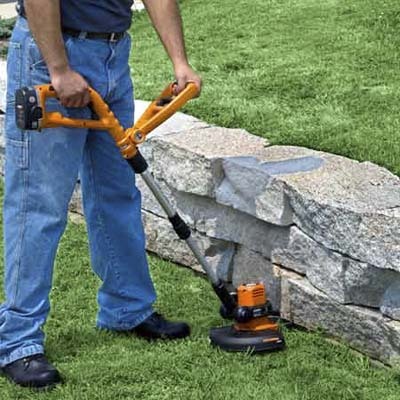 Electric and gas-powered weed trimmers, lawn edgers, hedge trimmers, and leaf blowers do the work that used to take days and many backaches to accomplish. However, this equipment is potentially dangerous and should be used with caution by those trained on how to use them safely. The CPSC estimates that in 1989 there were approximately 4,600 hospital emergency room-treated injuries associated with power lawn trimmers or edgers. About one-third of the injuries were to the eye. long periods of time, resulting in cutting accidents due to fatigue. 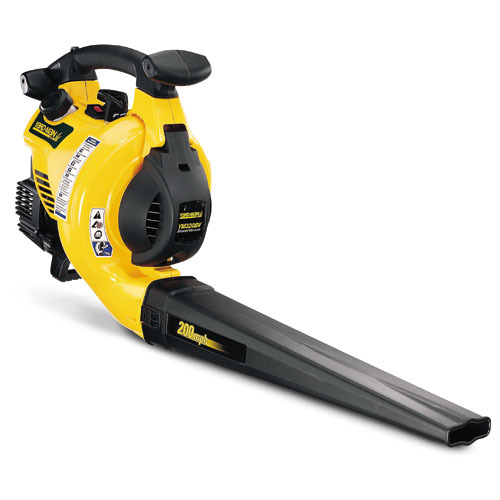 Leaf blowers are loud and can produce air gusts in excess of 200 miles per hour, lifting small rocks and other objects into the air. Thus, special care should be taken to prevent these accidents. Use gardening equipment with safety devices, such as safety guards. Comply with the manufacturer’s instructions on proper use of the equipment. Check your equipment regularly to make sure it’s in good working order. Wear safety goggles when you use line trimmers (such as whipper snippers) – they are a common cause of gardening-related eye injuries. Be aware of electrical leads (and make sure you don’t cut through them) when you use tools such as hedge trimmers, line trimmers and electric mowers. Don’t stand on the highest rungs of a ladder. There is a high risk of tipping. Falling from a ladder can cause serious injury, fractures, dislocations and soft tissue injuries. Wear earmuffs or earplugs when using noisy equipment such as lawnmowers, line trimmers and chainsaws. Use the right tool for the task and make sure it is the right sized tool for you. Remove debris such as glass, limbs, rocks, and trash that could possibly become a projectile before trimming. Watch out for exposed electrical wires, communication lines, and extension cords that could be damaged by the trimmer string. Don’t remove protective guards and string guides. Monitor the string length. Automatic-feed and bump-feed trimmers may let out more string than you think; this might cause the string to strike you unexpectedly. Wear appropriate protective clothing and equipment such as long-pants, long-sleeve shirts, gloves, hard boots, goggles or safety glasses, and ear plugs. With electric trimmers, inspect all extension cords for cuts,nicks, scrapes, and exposed wire that could pose an electrical hazard. Replace damaged cords immediately. Don’t operate electric trimmers when conditions are wet or around water puddles. Unplug electric trimmers and turn off gas-powered trimmers before inspecting, cleaning, adjusting, or replacing string. Never leave an electric trimmer plugged in or a gas-powered trimmer running while unattended. 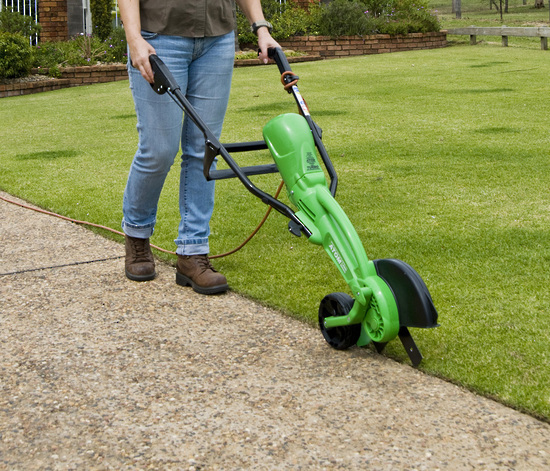 Before refueling gas-powered trimmers, place the trimmer on the ground and allow the engine to cool. Make sure all children and bystanders are far away before starting the edger. Don’t start an edger if the blade is touching the ground. It could move unpredictably and possibly contact your feet and legs. Watch out for exposed electrical wires, communication lines, and extension cords that could be damaged by the edger. Wear appropriate eye protection such as goggles or safety glasses to guard against flying objects. Don’t remove protective guards or shields. Operate the edger at full blade speed. When edging along roadways, stay as close to the curb as possible to avoid being hit by passing vehicles. Never leave an electric edger plugged in or a gas-powered edger running while unattended. Unplug electric edgers and turn off gas-powered edgers before inspecting, cleaning, adjusting, or replacing the blade. Wear appropriate protective equipment including gloves, goggles or safety glasses, and ear plugs. Make sure all screws, blades, or chains are secure. Vibrating equipment can cause screws to loosen. With electric hedge trimmers, keep extension cords clear of blades. Disconnect extension cords and shut down hedge trimmers before inspecting, cleaning, adjusting or replacing blades. Do not leave hedge trimmers unattended, especially around young children who may be cut by sharp blades. Never use electric hedge trimmers over your head. If trimmers become lodged on something, disconnect the power source before attempting to dislodge it. Don’t use the blower to clean yourself. Be aware of pedestrians and others in the area. Don’t direct the blower toward bystanders. Wear eye protection such as goggles or safety glasses and ear plugs. With electric blowers, inspect all extension cords for cuts, nicks, scrapes, and exposed wire that could pose an electrical hazard. Replace damaged cords immediately. Don’t operate electric blowers when conditions are wet or around water puddles. Many homeowners and landscape maintenance companies rely on periodic applications of natural and synthetic insecticide herbicides and fungicides to treat for a variety of insects, invasive weeds, and plant diseases. If you are thinking of using a lawn and garden chemical, read the label carefully to determine the product’s toxicity to humans, animals, and the environment. The product label will give the recommended application rate and instructions, and will advise of any protective clothing or equipment required to apply the product. Heed the label directions, and use only the amount of chemical specified. Carefully consider the potential effects on the environment and beneficial insects in your landscape when selecting lawn and garden chemicals. For example, rather than using a general purpose pesticide that may kill beneficial insects, use products that treat the specific problem. Remove children and animals from application area (follow label directions for re-entry.) Avoid exposure to skin, eyes and nose during and after application. Close all doors and window to house. Remove animal water and feed containers, and protect bird baths and fish from chemical exposure. Avoid over-irrigating exposed area; pesticides may be washed away or become concentrated in standing water puddles. Use only the recommended amount; more chemical than prescribed will not do a better job. After application, store extra chemicals in a secure location that is out of reach of children and pets.Never store lawn and garden chemicals with or near food, animal feeds, or medical supplies.Keep chemicals locked in a well-ventilated storage area, where temperatures stay above freezing and less than 90 degrees. In conclusion: Gardening is a relaxing and enjoyable form of exercise, but it can pose health risks. After read above gardening safety tips, I believe it is possible for people to prevent from gardening injuries. If you think this article is helpful for your family members and friends, please share to twitter or Facebook or linked-in.